Last week witnessed the most severe wildfire ever in California history. Unless you were a victim, you can never truly understand what it felt like. 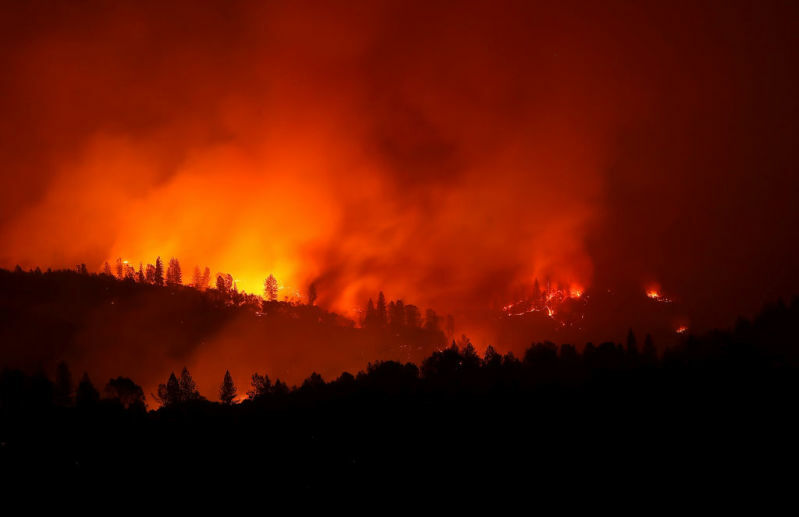 With about 50 people dead and at least 180 square miles engulfed in flames, almost everyone in Butte County, Northern California, has lost someone or something. At least 6,453 residences and 260 commercial buildings were razed. Inhabitants of the area were thrown into pandemonium, but the first responders worked tirelessly to keep a lid on it all. The most alarming part, however, is that it might not be over yet. Authorities say that due to the current weather conditions, an seemingly endless drought, we might keep having such incidents. Now, all we can do is apply the best safety measures. If you are caught in a wildfire, it is best to fill tubs and sinks with water; keep windows, vents, and doors locked and get all family members in one place. If you are caught outside, cover yourself and lie face down on the grass. In both situations, do your best to stay calm and call 911. Being alone and caught in the middle of something as terrible as a wildfire can be very scary, even for the bravest of men. How much more frightening is it for a defenseless animal? Firefighters of the Foster City Fire Department were patrolling areas affected by the fire when the soft whimpers of an animal in the bushes caught their attention. Even though they were on the lookout for humans, the cat was just as important to them. A bit of cajoling got the cat out of the thicket. The poor thing’s whiskers and paws had been badly singed but, safe in the hands of Firefighter Geoff Downing, the cat realized that the worst was over. Both man and animal became fast friends, and who can blame them? When you go through something so horrifying, the little bits of hope become lifelines. The firefighters christened the cat ‘Foster,’ and he was taken to North Valley Animal Disaster Group for treatment and there is hope that the owners will be located soon. Scenarios like this will often boost the spirits of firefighters who have, for days, witnessed nothing but tragedy and destruction. Let us keep our fingers crossed and hope that this lovely furball makes it back to his family. Our hearts continue to go out to the victims and their valiant saviors.